Sotheby's ancient sculpture & works of art department, Ancient Sculpture. Sotheby's, Ancient Sculpture & Works of Art Department. Join international scholars for a ten-week series on the history of sculpture and explore how artists make use of a range of styles, techniques and materials to create three-dimensional objects, from ancient civilisations to the present day. Since the earliest civilisations, sculpture has been central to devotional practices and can be found in cultures across the world and over time has become one of the most universal and durable art forms. Sculptures as diverse as the Venus of Berekhat Ram (230,000 – 700,000BCE), the monumental Egyptian Sphinx (2558 – 2532BC) and the gold miniatures of the pre-Columbian era (from 500AD) are a few examples of early devotional sculpture with resounding social and cultural significance. It is widely accepted that the Western tradition of sculpture began in Ancient Greece (800BC – 600AD), where sculptors began to move away from creating purely spiritual items towards an attempt to capture the human body in metal and stone. 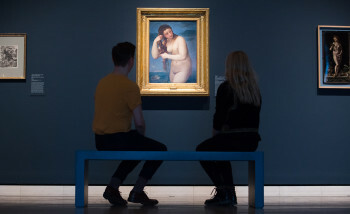 This move had a profound influence on all art that followed, right up until the 20th century. Such classical examples still provide a foundation for the art historical cannon and inform and inspire contemporary artists today. In the Middle Ages, Christianity provided a driving force for the production of sculpture, with altarpieces and reliefs representing biblical scenes or as ghoulish reminders of what awaited sinners in the afterlife. In the Renaissance, sculptors returned to the study of the human form, attempting to present it in all its glory, at once both idealised and realistic. During this period, artists like Donatello, Ghiberti and Michelangelo created masterpieces including Donatello’s bronze David (1430 – 1440), Ghiberti’s Gates of Paradise of the Florence Baptistry (1425) and Michelangelo’s marble Pietà (1498 – 1499) and David (1501 – 1504). These sculptures of the human body became integral to the teaching practices in the Fine Art Academies of the 18th and 19th centuries. Life drawing classes were compulsory and plaster cast replicas of classical sculpture and the human body were an essential tool for art students. Even today, here at the Royal Academy of Arts, the RA’s collection of casts are on display throughout the RA Schools, The Julia and Hans Rausing Hall and in The Collection Gallery. In the 20th century, artists and sculptors moved away from traditional themes of naturalism and human representation and began to embrace modernism in sculpture. Abstracted and distorted, these new three-dimensional shapes were created using new, innovative materials, such as in Marcel Duchamp’s found objects or Alexander Calder’s kinetics. Sculpture in recent years has gained an even wider definition and concepts such as land art and urban installations are now often included in the genre. This course concentrates on sculpture throughout Western art, although we will explore the effects that advances in travel, communication and archaeology have had on Western sculpture. For example, the radical influence of the so called ‘primitive’ statues and cultural artefacts on modernist artists and sculptors like Pablo Picasso, Amedeo Modigliani and Alberto Giacometti and, more recently, the reminder afforded by exhibitions such as Oceania on the central and universal significance of sculpture across cultures. This course coincides with the exhibition of the Phyllida Barlow RA at the Royal Academy of Arts, providing a timely discussion of the remarkable scope and diversity in the work of contemporary sculptors. This course will follow a broadly chronological arrangement, from the figurines of antiquity, through the Middle Ages and the Renaissance, the European 17th and 18th century schools (with a particular focus on the academic sculptures in the RA’s collection) through to modern and contemporary art with consideration of the impact of technological and digital advancements and the role and practice of sculpture in the future. 6.15–8.15pm each week (registration from 6pm). £540 for full course, £320 for weeks 1–5 OR weeks 6–10. This course provides a unique opportunity to learn about the history of sculpture and explores the genre across ages and cultures, led by guest speakers and cultural leaders from across the art world. It is designed both to enable an historical overview for those new to the field, and be relevant for those with prior art world experience keen to learn from experts in the field. The course is suitable for all levels of experience, for individuals with a willingness to be open minded and enjoy a challenging mix of art-historical knowledge and learning. Dr Jill Cook is a specialist in the archaeology of human evolution with particular interest in the origins of art. She joined the British Museum in 1986 as the curator of the worldwide material culture of early human ancestors, between about two million years and 10,000 years old. She is presently Keeper of the Department of Britain, Europe and Prehistory at the British Museum. In 2013, Cook curated Ice Age Art: arrival of the modern mind at the British Museum, in which art by Picasso, Moore, Brassaï, Howard and Matisse, were displayed in combination with European drawings, sculptures and models on bone, antler, ivory and ceramic dating from 40,000 to 12,000 years ago, breaking the time barrier and promoting intellectual connections between these periods. 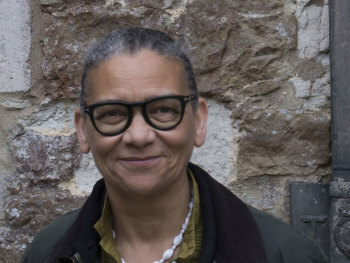 Most recently, she curated the exhibition Living with gods: peoples, places and worlds beyond at the British Museum in 2017-2018. The exhibition was part of a series of related projects produced by the British Museum and the BBC. Cook was elected a member of the Society of Antiquaries of London in 1990. Judith Nugée is a specialist in antiquities who has been working in the field for over 30 years. Captivated by the ancient world, Judith read Classics at Oxford University, before joining Christie’s, where she became Head of the Antiquities Department. In 2009 she founded Hornsby + Nugée, an antiquities consultancy. Her work includes valuations, researching ancient objects, and advising on acquisition or sale. She has lectured widely on antiquities and has been involved in the research, cataloguing and valuation of major finds, including the acclaimed Staffordshire Hoard. Dr Janina Ramirez gained her degree in English literature and language from St Anne’s College, Oxford. She then completed her post-graduate studies at the renowned Centre for Medieval Studies, York. She completed a joint-funded cross-disciplinary art/literature PhD on the symbolism of birds, which led to a lectureship in York’s Art History department. Ramirez is now course director for the Undergraduate Certificate in History of Art at the University of Oxford. In 2010 she presented Treasures of the Anglo-Saxons which aired on BBC Four, before going over to BBC Two. This was followed by a documentary on Icelandic literature, The Viking Sagas, and an hour-long film on the stained glass of York Minster, Britain’s Most Fragile Treasure. Her series, The Hundred Years’ War, broadcast on BBC Four, explores the causes of the greatest and longest conflicts in medieval history. Professor David Ekserdjian is an authority on Italian Renaissance art, with particular specialities in the artists Correggio and Parmigianino, the subjects of his two Yale monographs of 1997 and 2006. He is a former Trustee of the National Gallery and of Tate, and is currently a Trustee of ArtUK and of Sir John Soane’s Museum. He has enjoyed a long relationship with the RA, having curated or co-curated Old Master Paintings from the Thyssen-Bornemisza Collection (1988), Mantegna (1991), ‘Treasures from Budapest (2010) and Bronze (2012). In 2017-18, he was the Slade Professor of the History of Art at Oxford, lecturing on the subject of From Drawing to Painting in the Italian Renaissance. Dr Holly (Marjorie) Trusted, a graduate of Cambridge University and the Courtauld Institute of Art, is currently Honorary Senior Research Fellow at the V&A, where she has been based since 1979. She has published and lectured widely on sculpture, specialising in British and Spanish sculpture, as well as working on German renaissance medals, ivories and ambers. Her most recent book is on the V&A’s Cast Courts, which appeared in 2018, and she is currently working on a book on German baroque sculpture. She is Honorary Vice-President of the Society of Antiquaries of London. Polly Bielecka worked for The Fleming Collection, one of the most renowned, privately-owned collections of Scottish Art, before being invited to set up Pangolin London. Bielecka set the gallery up from scratch, swiftly positioning Pangolin London as a leading sculpture specialist. Helping to build relationships with acclaimed contemporary British sculptors from Damien Hirst to David Bailey and the artist estates of Ralph Brown, Geoffrey Clarke and Lynn Chadwick. She has orchestrated a dynamic and original exhibition programme including Women Make Sculpture, Exorcising the Fear, Sculptors’ Drawings, Sculpture in the Sixties and Sculpture in the Home. She holds a Masters in History of Art from the University of Edinburgh. Alexandra Gerstein is the Curator of Sculpture and Decorative Arts at The Courtauld Gallery, where she is responsible for a wide-ranging collection, including medieval ivories, Renaissance maiolica, glass and sculpture, as well as Islamic metalwork, 18th-century English silver and furniture, and 19th and early 20th century sculpture. Her research interests lie principally in sculpture of the 19th and early 20th centuries, as well as in the history of collecting. At The Courtauld she leads on questions related to World War II provenance and restitution. Publications include Thomas Gambier Parry: Collecting in the Gothic Revival in John Lowden, Medieval and Later Ivories in the Courtauld Gallery(Paul Holberton Press, 2013), and catalogues accompanying exhibitions she has curated on Empress Josephine’s collections at Malmaison (2007), the Bloomsbury Group’s Omega Workshops (2009), Rodin and Dance: The Essence of Movement (2016-17) and forthcoming essays on the history of the Courtauld family businesses from the 18th to the 20th centuries. Dr Chantal Brotherton-Ratcliffe graduated from Edinburgh University with an MA in History of Art, and completed her PhD at the Warburg Institute, University of London. She trained briefly as a paintings conservator, but her utter ignorance of Chemistry drove her to the more forgiving embrace of Art History. She has worked for 30 years at Sotheby’s Institute of Art, and for a number of institutions in London, as a lecturer teaching a wide range of topics within fifteenth, sixteenth and seventeenth century European art. Her interest is in the approach of the traditional connoisseur, teaching the analysis of those stylistic features of a painting or work of art, that can sometimes tell us the identity of the artist, and when a painting is a copy, good or bad. An interest in historical techniques and materials is an integrated aspect of this approach. Recycle Group was formed by Andrey Blokhin and Georgy Kuznetsov. Since 2008 the artists have participated in various exhibitions around the world. The year 2008 marked their first personal exhibition under the title Recycle. Two years later, Recycle Group won the Kandinsky Prize in the nomination “Young Artist”. Since 2010 works by the art group have been exhibited on a regular basis in museums, galleries and various contemporary art spaces in France, Italy, Great Britain, USA and Belgium. In 2012 Multimedia Art Museum, Moscow presented their personal show Paradise Network. The artists participated in the program of Venice Biennale in 2011, 2013. Their personal project Conversion in Sant’Antonin’s church was part of the official program of the Venice Biennale in 2015. In 2016 they won Special Prize of Arte Laguna Art Prize Festivals & Exhibitions. The artists were selected to represent Russia at the Venice Biennale 2017.